Seek To Know The Truth: Is Writing for Jihad Watch Now a Fireable Offense? Is Writing for Jihad Watch Now a Fireable Offense? I am writing in support of Christine Douglass-Williams, a member of the Canadian Race Relations Foundation, who I understand has come under scrutiny for writing for my web publication, Jihad Watch. The Canadian Press has identified as questionable one specific piece that Ms. Douglass-Williams published at Jihad Watch (among other places), in which she refers to deceptive Islamic supremacists. However, neither the Canadian Press nor anyone else has offered any evidence for why what Ms. Douglass-Williams wrote was wrong or hateful. There is in reality no racial issue involved here. Jihad terror and the deceptions of some terror-aligned leaders is not race. Islamic jihadists are people of all races. Ms. Douglass-Williams, in standing against jihad terror and Sharia oppression, is not only not jeopardizing the work of the Canadian Race Relations Foundation, but enhancing it, but standing against the spread of an ideology that is frankly and unapologetically supremacist and violent, and set against the survival of Canadian pluralist principles. 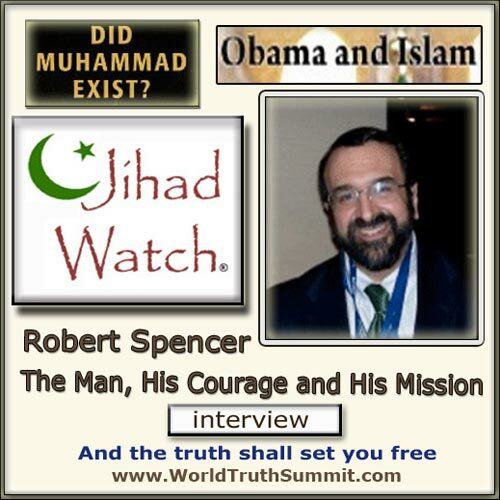 Meanwhile, I am deeply concerned that Ms. Douglass-Williams is being smeared by association with me and Jihad Watch. I have been writing against jihad terror and Sharia-justified denial of human rights for many years, and I’ve found over the years that one tactic that the allies of jihad terror and Sharia supremacist groups frequently resort to in Canada, the U.S., and Western Europe is to smear those who expose their activities as “hatemongers,” “racists,” and “bigots.” But a false charge does not become true for being often repeated. I invite you to read any of my 17 published books (which I am happy to send you free of charge), thousands of articles, and 45,000+ posts at Jihad Watch, and am confident that you find not a trace of “hatred,” “racism,” or “bigotry” in them. All my work has been and is in defense of the freedom of speech, the freedom of conscience, and the equality of rights of all people before the law. More to the point, I invite you to read all of Ms. Douglass-Williams’ published writings at Jihad Watch, and you will see that there is no reason for anyone who is concerned about racism and about preserving pluralistic societies to be concerned. If I can answer any questions or be of any possible service to you in your further consideration of this or any other matter, please do not hesitate to contact me.